What’s So Special about Buying a New Car? Some people begin saving money as soon as they start working just so they can one day buy a brand new car, while others are happy with buying used cars. Then there are those who are still trying to make up their minds which one is the better deal. One the one hand, you’ll be the first person to drive the car if you buy a new one but a used car is much cheaper. If you’re trying to determine whether to buy a new or used car, it helps to know what makes buying a new car so special. When you buy new, you’re the first owner and you have to admit, that’s a nice feeling. You know the vehicle is in great shape because it’s new! No stains on the seats from a previous owner and of course, you get to enjoy that new car smell for a while. When you buy a new car, you get to customize it. You choose the color paint you want and pick between different types of leather or cloth seats. You can even choose your audio system and include a navigational system if you want to but that’s not all. Below are a few more reasons why many people prefer new cars and why they feel the cost is justified. When you buy a new car, you never have to worry about buying a lemon that breaks down on you a few months later. All new cars come with a manufacturer’s warranty. If at any time throughout the duration of the warranty you have problems with your vehicle, you simply contact the Toyota dealership. In those rare cases where there is a defect in the engine, transmission, etc. that occurred during the making of the vehicle, the dealership will fix or replace it at no extra cost to you. Many warranties also include roadside assistance. You never have to worry about being stranded on the side of the road because help is just a phone call away. 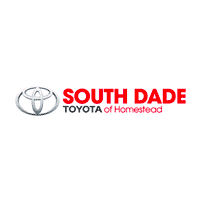 Some Toyota dealers in Miami may even provide you with an alternate means of transportation for a few days while your vehicle is in the shop. Free scheduled maintenance checks for a limited time are also included when you buy a new Toyota to help you protect your investment. These include changing the oil, the filters and tire rotation. Manufacturers are always coming up with new features that make driving more enjoyable. You can get everything from heated seats to rear-view cameras and parking sensors. They’re also adding new safety features such as side air bags, anti-lock brake systems and smart stop technology. Newer cars are also more fuel-efficient and produce lower emissions, so they can save you money and help reduce pollution. When you buy a new car, you get the latest in technology so you know that the vehicle you’re driving meets all safety guidelines and some of these new features are just downright cool. Knowing your vehicle is equipped with all the latest safety gear gives you peace of mind and that’s definitely worth the higher price tag. 0 comment(s) so far on What’s So Special about Buying a New Car?